Sometimes saying yes is a brilliant thing. You can meet new people, discover amazing things, and go on exciting adventures… but not always. 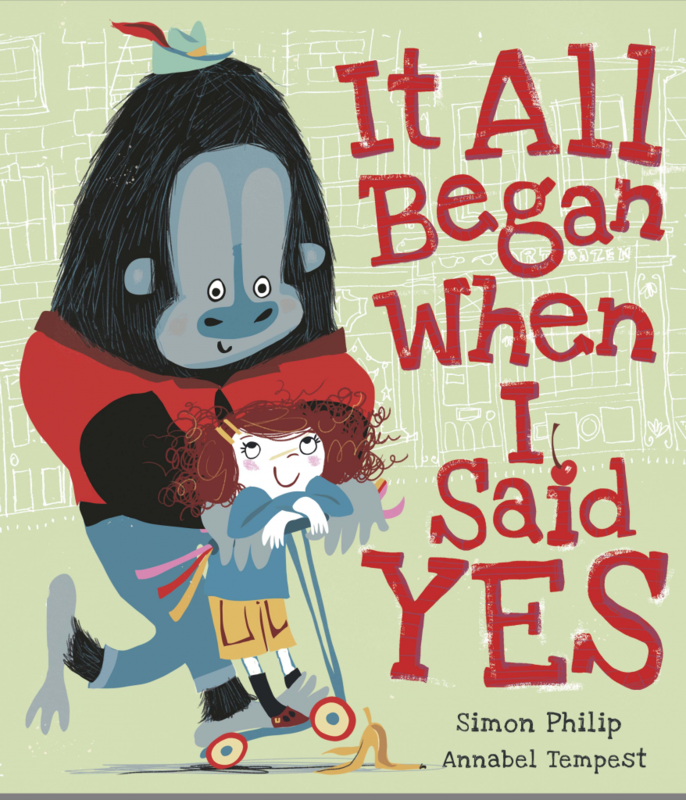 When a gorilla named Gideon shows up at your house with lots of questions and some preeeeeetty bonkers requests, perhaps “yes” will lead to trouble, trouble, and maybe just a touch more trouble. One thing’s for sure – it definitely won’t be boring! From the author of You Must Bring a Hat (winner of the Sainsbury’s CHILDREN’S BOOK OF THE YEAR AWARD 2016) and I Don’t Know What to Call My Cat, comes a story which will have both parents and children laughing out loud!